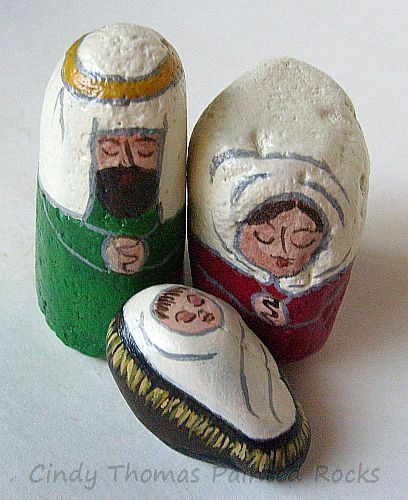 The rocks I chose for this nativity set are symbolic. 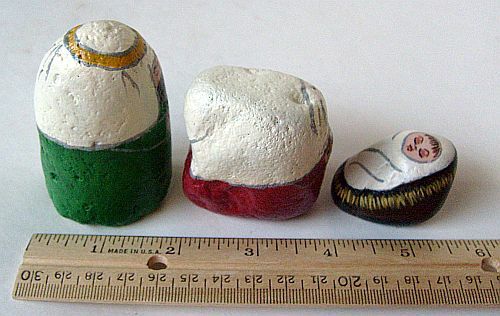 Mary and Joseph are painted on rough, somewhat pitted rocks to depict their arduous journey to Bethlehem. 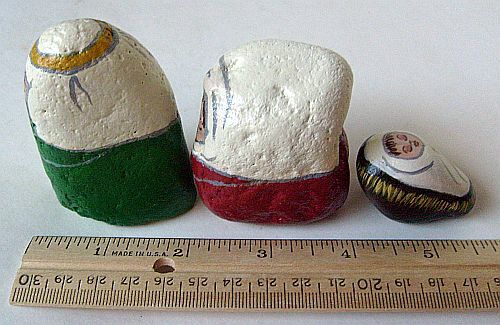 The Baby Jesus stone is smooth to represent the innocence and perfection of Jesus. Mary's robe is painted with "Tuscan Red" acrylic paint. Her headscarf is "Buttermilk." Joseph's robe is painted with "Leaf Green" acrylic paint. His headscarf is "Buttermilk" with a "King's Gold" headband. 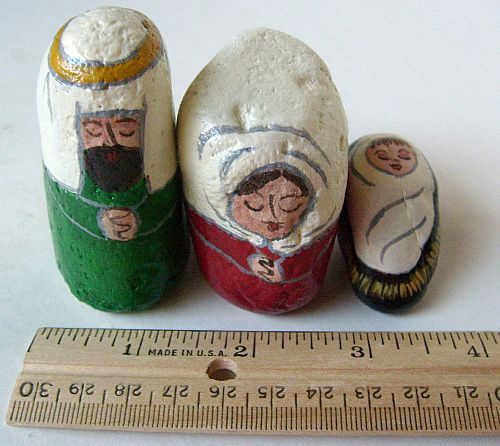 Baby Jesus swaddling clothes are painted with "Buttermilk" acrylic and highlighted with gray. The manger is painted "Burnt Umber" with two shades of yellow for the straw. 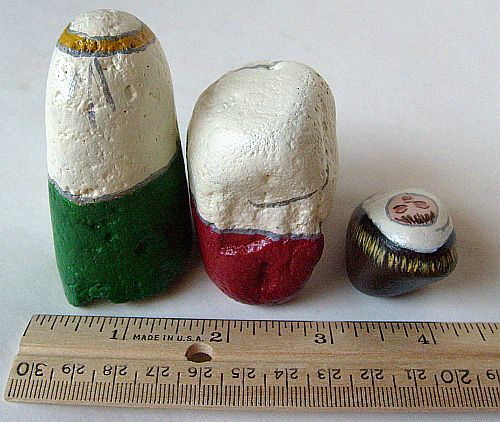 All three pieces are sealed with a protective finish for lasting durability.